Family photos should be anything but boring! They should be fun and showcase your family's personalities. That's my job, leave it to me to capture the bond and the uniqueness of you and your loved ones. I enjoy an adventure! Let's travel to one of your family's favorite spots! 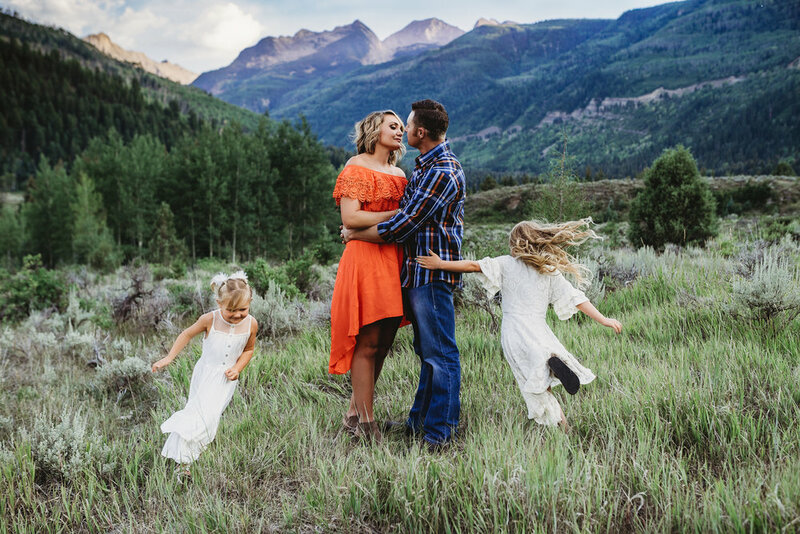 Colorado has plenty to offer but the location of your choice should be something you as a family enjoy together or perhaps somewhere you'd like to go for the first time. Aren't sure where to go? No problem, I can provide suggestions or browse my galleries for a location that looks appealing and fun! When it comes to your family portraits, wardrobe is everything! You should be comfortable but also show off your style. Look no further as I've got the perfect tools to help you style your family with ease. What sets my photography apart from all the others is my ability to show off your emotions. I want to capture those candid moments of you playing with your kiddos while freezing those smiles for eternity.